Check out this feel-good story and help us raise money for 100 (MORE) Bibles for our Chapel at Concordia University Ann Arbor! That campaign was enormously successful – THANK YOU! 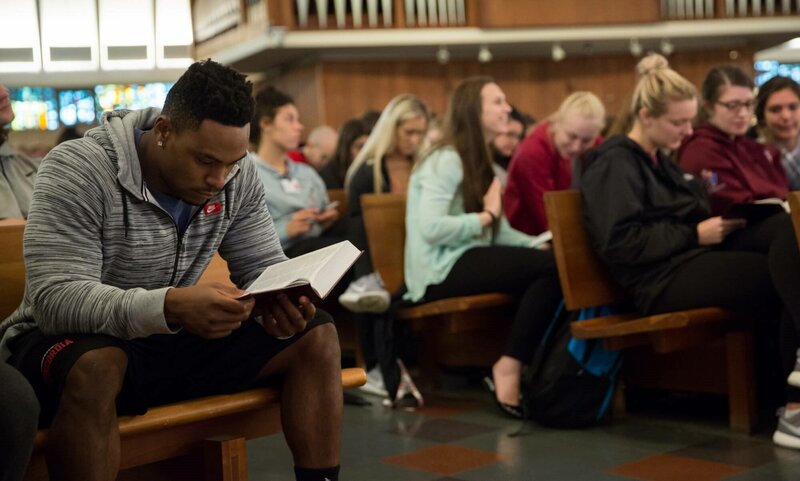 We have students here at CUAA who are being introduced to Jesus for the first time and developing a personal relationship with their Savior. Our campus ministry team has done a terrific job making all of our students aware that if they do not have a Bible of their own, they are welcome to take one from the Chapel. Well, here we are three years later, and praise God, we need 100 Bibles to replace the ones that our students have claimed as their own! Would you help us to reach our goal? Thank you for this blessing!